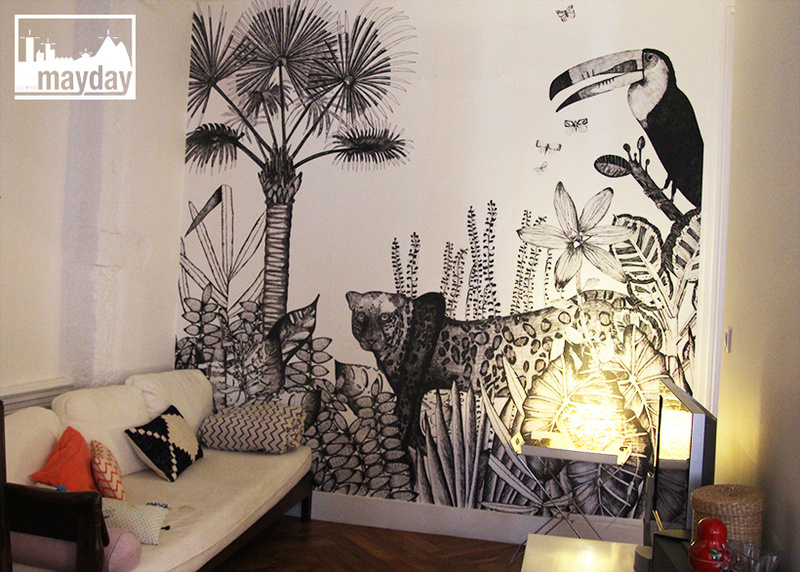 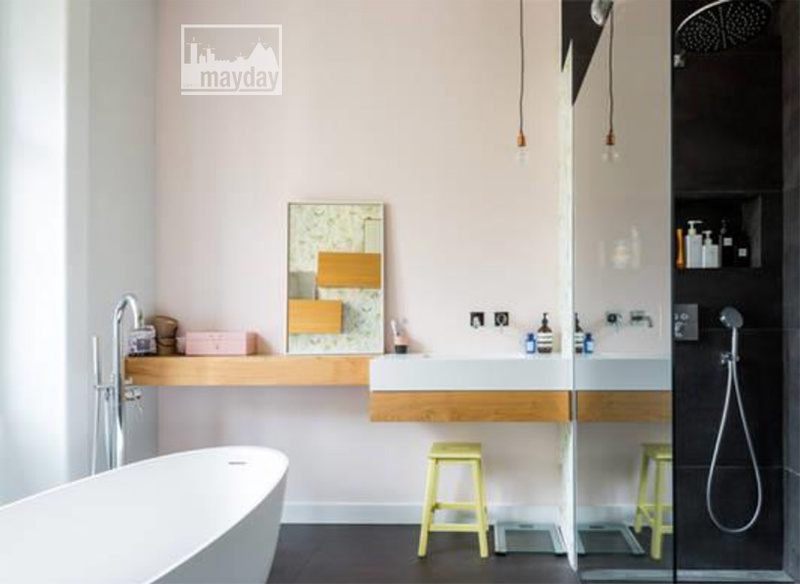 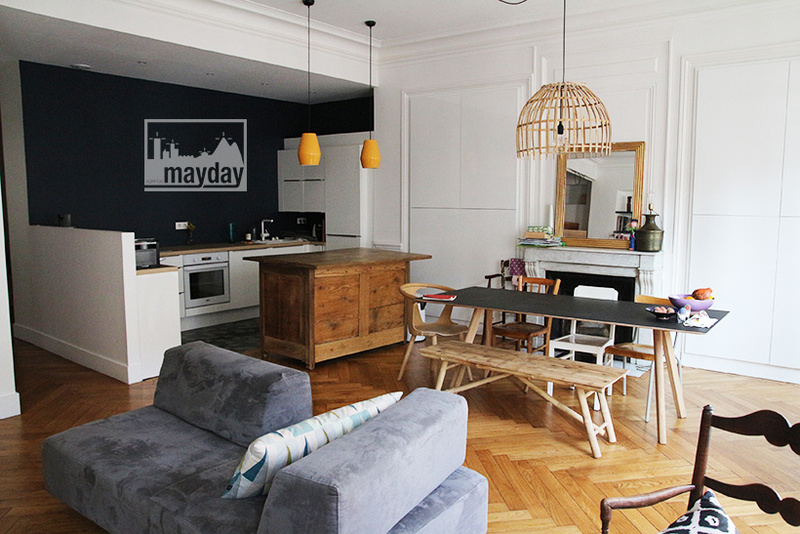 An haussmannian duplex apartment (clav0053) | Agence Mayday, scouting agency | Best location for your project concerning : feature films, TV, commercials, promos, photo shoot & events. 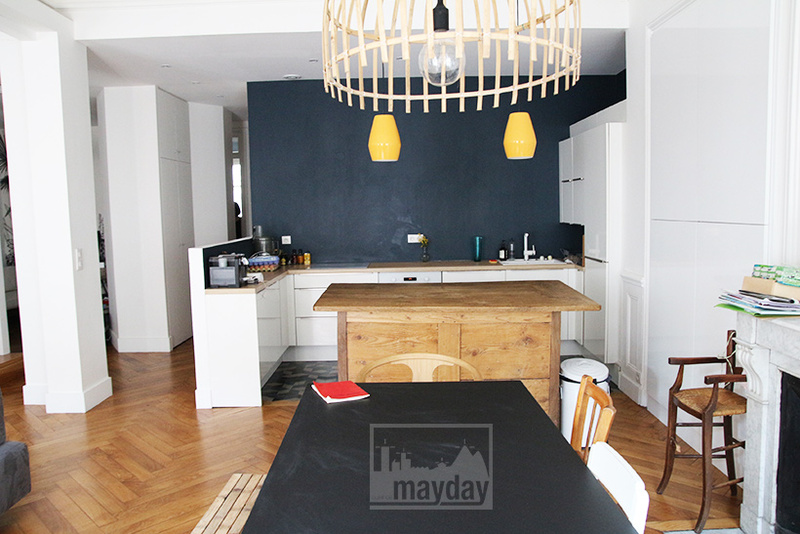 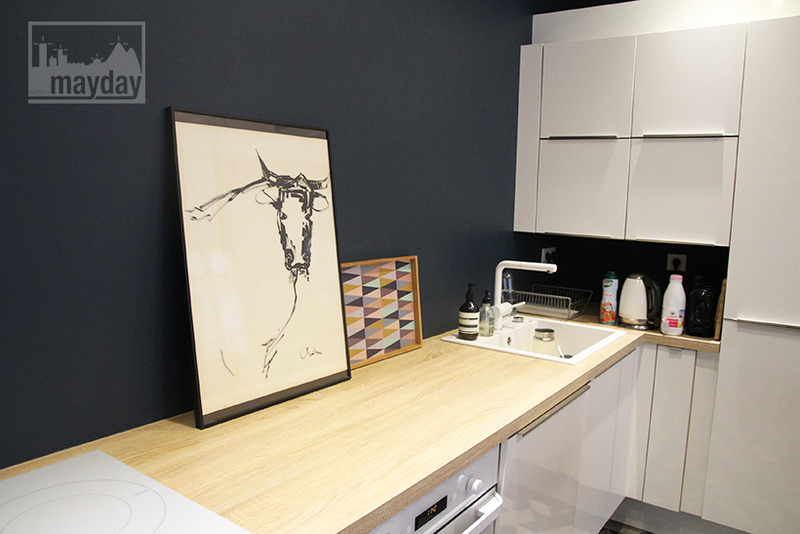 Spacious and beautiful haussmannian apartment on 2 floors downtown Lyon. 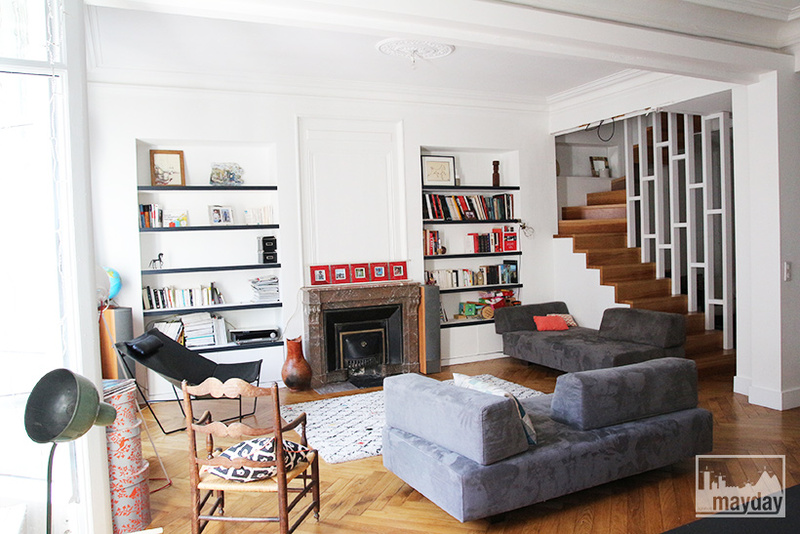 This duplex flat is situated in a bourgeois building between the Part-Dieu area and the Rhône quays. 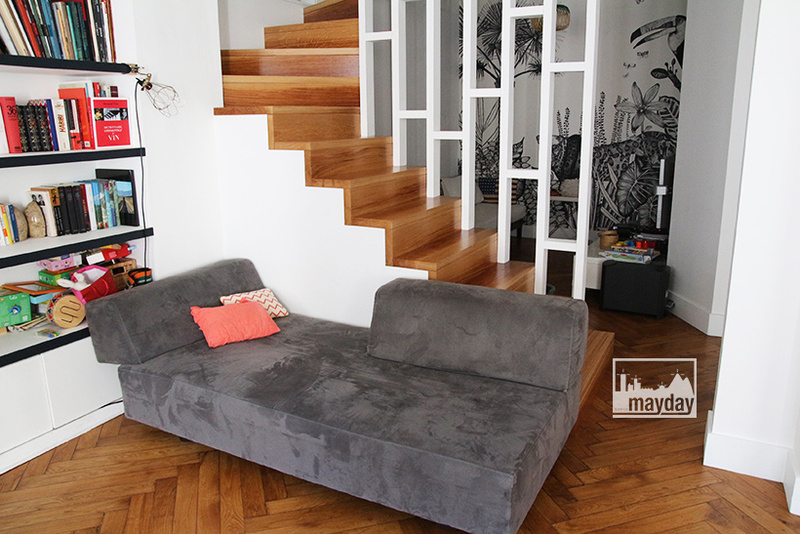 The attractive large living room, the high finishes touches and the successful decoration choices make it a generous family home. 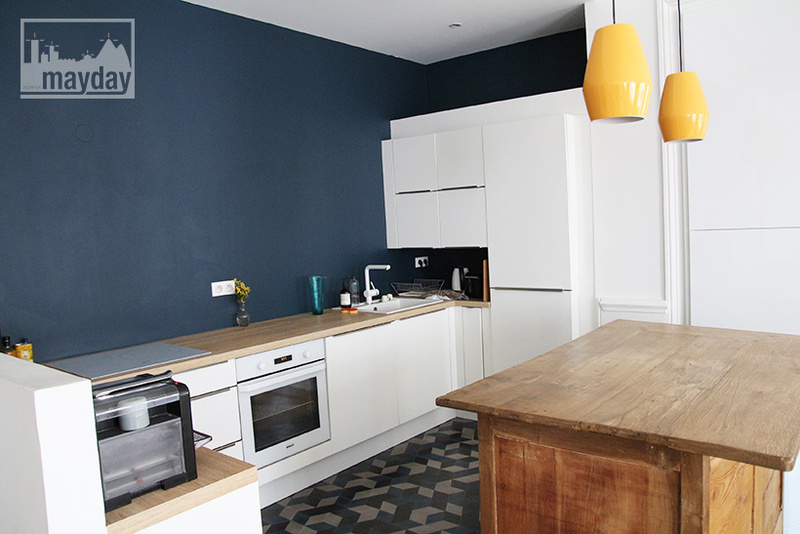 Trendy contemporary colors and materials as the cement tiles delimitating the open kitchen space or the antique wooden block near the modern white kitchen furniture. 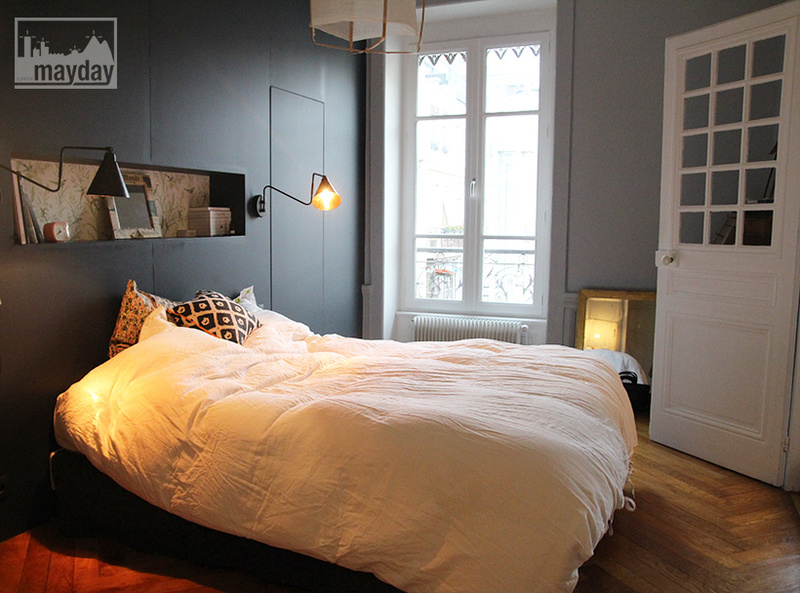 The master bedroom has a spectacular view over a typical Lyon protected historical courtyard.